LCH Explained - What is Lesserian Curative Hypnotherapy? 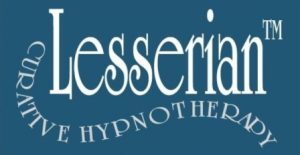 Lesserian™ Curative Hypnotherapy – the advanced use of hypnosis. By finding the precise Cause of an individual’s problem and correcting this, the ‘need’ for the complaint is eliminated – without the necessity for any symptom treatment with all its attendant dangers. A safe, comfortable and enjoyable therapy to undergo, with techniques specially designed to prevent unwelcome emotions or unpleasant memories being experienced or slowing down the benefits and progress of treatment. The treatment – and the fact that we are working with genuine volunteer patients – is the greatest difference between this and any other hypnotherapy course. For many years Hypnotherapy has been an acceptable form of treatment for a wide variety of problems. Over more recent years, significant advances have been made in the understanding of how and why people create these problems and this has opened the door to the development of Curative Hypnotherapy which, as its name implies, aims to allow the patient to live the life they want, disposing of their symptom(s) completely and permanently. Such symptom treatment, behaviour modification or work with ISEs can be of immense help to some people, but they focus on the ‘what‘ (symptom) or the ‘when‘ (first experience of a symptom) which leaves the ‘why‘ untouched, resulting in the possibility of the symptom returning at some point. On subsequent days, as we work through the treatment with each patient, you will also see how any difficulties are overcome and throughout the training day, in between each treatment session, you will benefit from full discussion, explanations and strategies. Thus, you will gain the deepest possible understanding providing you with the flexibility to deal with almost any patient when you begin in professional practice yourself. see how the symptoms disappear completely and permanently.